Are Protein Shakes And Meal Replacement Shakes The Same Thing? A lot of people tend to use the terms, protein shake (powder) synonymously with meal replacement shake (powder), thinking they are one in the same. [Read more…] about Are Protein Shakes And Meal Replacement Shakes The Same Thing? In case you didn’t know it, juicing is an excellent way to lose weight in a safe and healthy manner. When it comes to juicing, one thing that you want to keep in mind is the fact that it is one of the first and most important steps in a weight loss program. My husband and I were inspired to get a juicer and start juicing after watching the documentary, “Fat, Sick and Nearly Dead”. I highly recommend that you check it out whether you watch it on Netflix or rent it… it’s a VERY inspirational story! 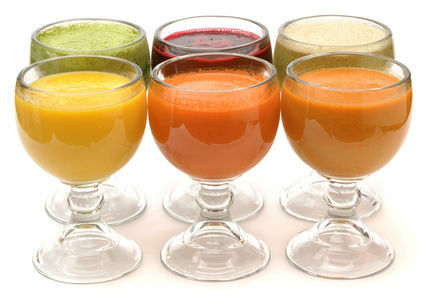 Fresh juice made from your fruits and veggies alone tends to be low in calories. It can be a very helpful addition to your weight loss plans. The fibrous nature of most veggies will help you fill up without adding in too many extra calories. The following juicing tips to lose weight will help you get well on your way! Sometimes we think achieving lasting weight loss isn’t in the cards for us. We start with all the enthusiasm and motivation in the world, and then get discouraged when the scale doesn’t appear to be moving as we think it should or… when we feel the soreness from our first workout. So what can you do to make sure you’re successful? Follow these tips for successful weight loss at home!